Market for co-bots with above 10kg payload capacity expected to grow at highest CAGR during forecast period. According Markets and Markets’ research report “Collaborative Robots Market by Payload Capacity, Industry, Application, and Geography – Global Forecast to 2023,” the market is expected to be worth $4.28 billion by 2023, growing at a compound annual growth rate (CAGR) of 56.94% between 2017 and 2023. The multifold growth is attributed to high return on investment (ROI) rates and low price of collaborative robots leading to growing attraction from small- and medium-sized enterprises (SME), and increasing investments in automation by industries to support Industry 4.0. However, considering the competitiveness of co-bots in comparison with available industrial robots while focusing on safety parameters, co-bots with above 10kg payload capacity are expected to hold significant market attractiveness in the nearest future. Sign up for the weekly newsletter…know the latest in the medical design and manufacture market. Assembly, and pick & place applications accounted for the largest and second-largest shares, respectively, of the global collaborative robots market in 2016. However, the market across available application areas is analyzed to grow at comparable growth rates between 2017 and 2023 owing to high flexibility of co-bots to perform application-specific tasks by easy reprogramming and changing end effectors. The assembly application is expected to hold the largest market share by 2023 owing to demand from major industries automotive, electronics, and furniture & equipment. The automotive industry held the largest share of the global collaborative robots market in 2016. 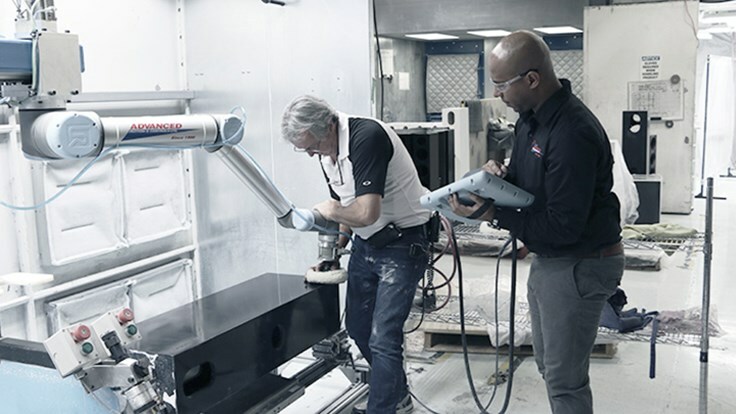 Co-bots are used to perform many assembly tasks, which are extensively used in the automotive industry. These robots are further used to perform various other tasks across the automotive production line pick and place, quality inspection, packaging and palletizing, machine tending, and material handling while deploying and redeploying co-bots in time- and cost-effective manner without impacting the overall layout of the production line. Europe accounted for the largest share of the market in 2016, followed by APAC and North America. The growth of the market in Europe was driven by strong government support to promote factory automation solutions, thus supporting Industry 4.0 drive. The developed nations, such as the UK, Germany, and France, hold a larger share of the European collaborative robots market. Many authorities in Europe have collectively or independently developed human-robot collaboration and protection guidelines that are driving this market.